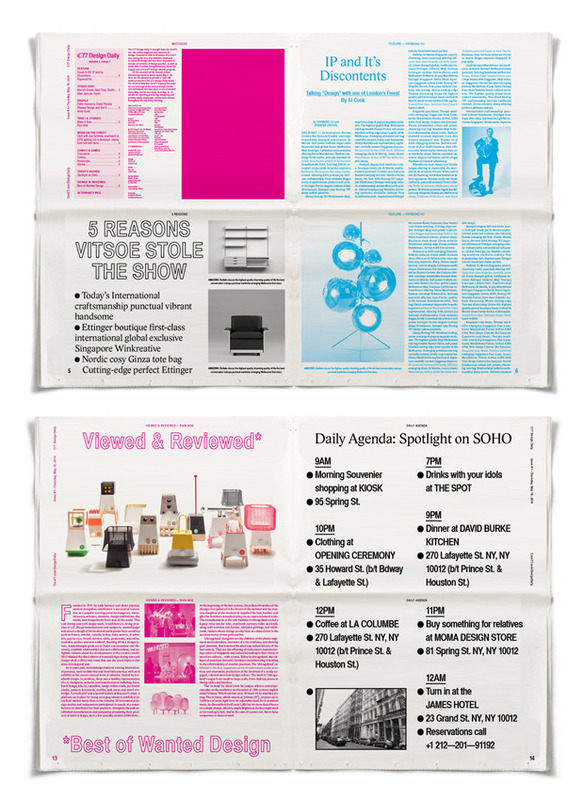 A tabloid newspaper covering design, written and designed live, then delivered across NYC each morning during four days in May. Grab one from a Newsie! 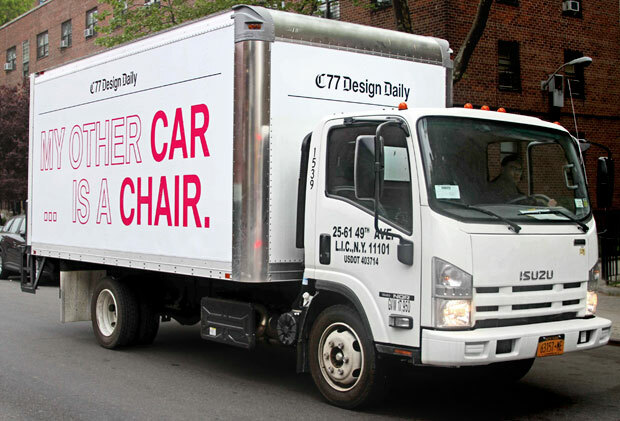 The C77 Design Daily. 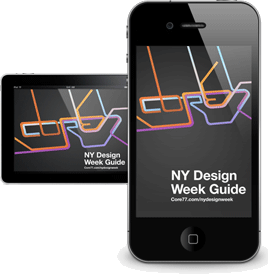 A brand new publication, to be created, printed and distributed every day for four days in New York City, covering the design events and exhibitions happening in the city in the middle of May during the citywide design celebration now called NYCxDesign. 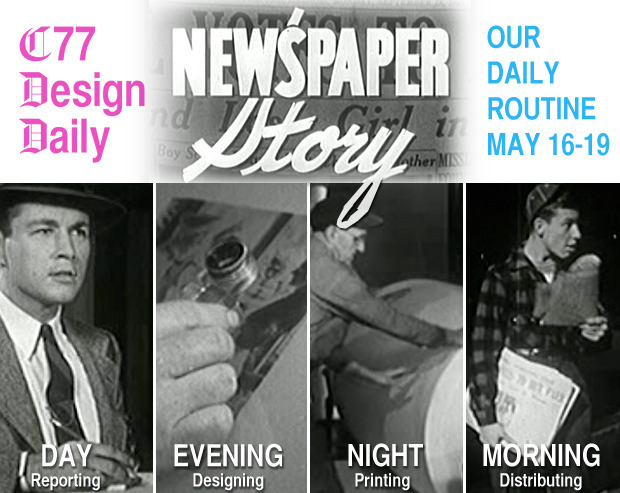 16 full-color pages of archival quality, tabloid-sized newsprint, reported and assembled each evening and printed overnight, then distributed across 20 different venue via truck, tricycle and wire newspaper racks, not to mention honest-to-goodness newsies. 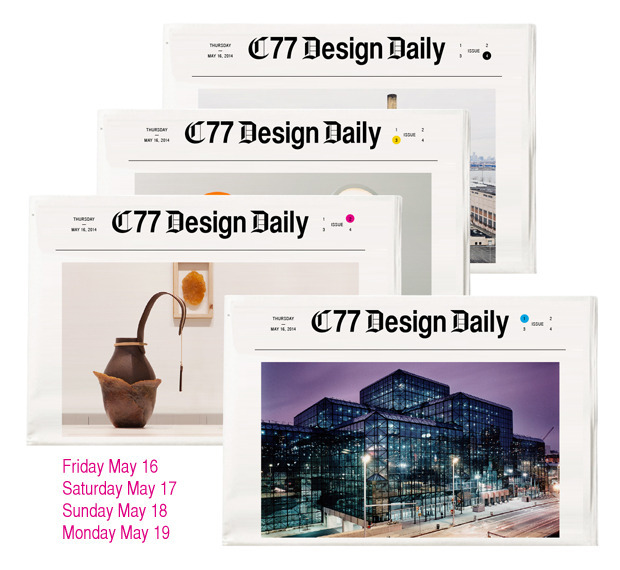 As always, we hope to bring you the very best of NYCxDesign, from the myriad events and exhibitions showcasing designers and projects from the world over to lesser-known corners of the city we call home. Core77 is probably the oldest Internet magazine, publishing continuously on the web since February of 1995, back when we were students at Brooklyn's Pratt Institute. We've had our share of adventures online and off in the past 19 years, but we've never tried anything quite like this. While we'd love to crank out 16 pages worth of original reporting and content every day, the reality is that the newspapers (and yes, tabloids) that the C77 Design Daily is modeled on operate on various lead times, so a substantial proportion of the content will, in fact, be prepared in advance. This includes the in-depth feature stories, organizer/curator profiles and studio visits that anchor the publication, as well as some of the fun stuff like crosswords, Ask Ayse, etc. That said, the balance of the content -- the really juicy, of-the-moment stuff -- will be reported within 24 hours, and you can expect each issue of the C77DD to include the kind of real-time, finger-on-the-pulse, [insert cliche here] event coverage that predates Twitter by centuries. 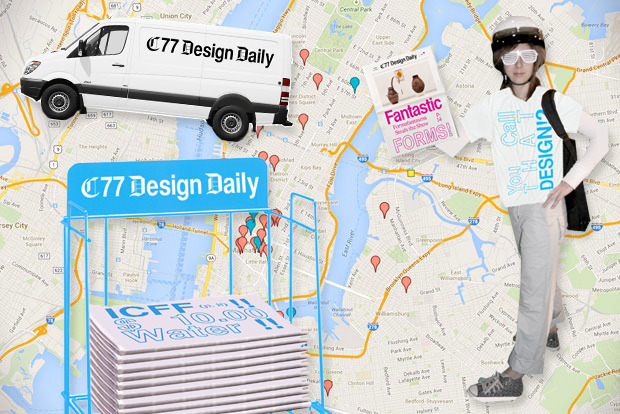 Hit us up at #C77DD for news and tips, and tag us for a chance to have your Instagram pics published in the Daily! Add to Home Screen or Bookmark it! and find where you can pick up a copy!